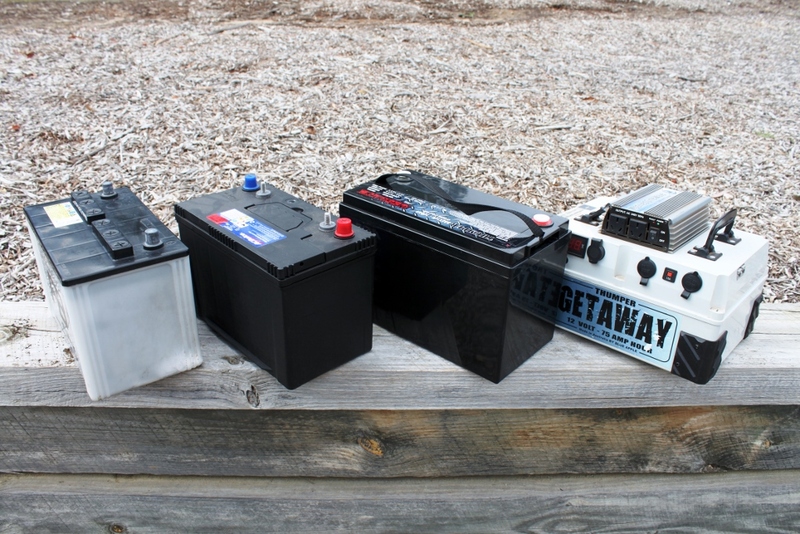 We tend to define batteries by putting them into one of two categories in the RV world. The first type is a starter battery, which is predominantly used to turn your vehicle’s engine over and supports the electrics associated with driving. 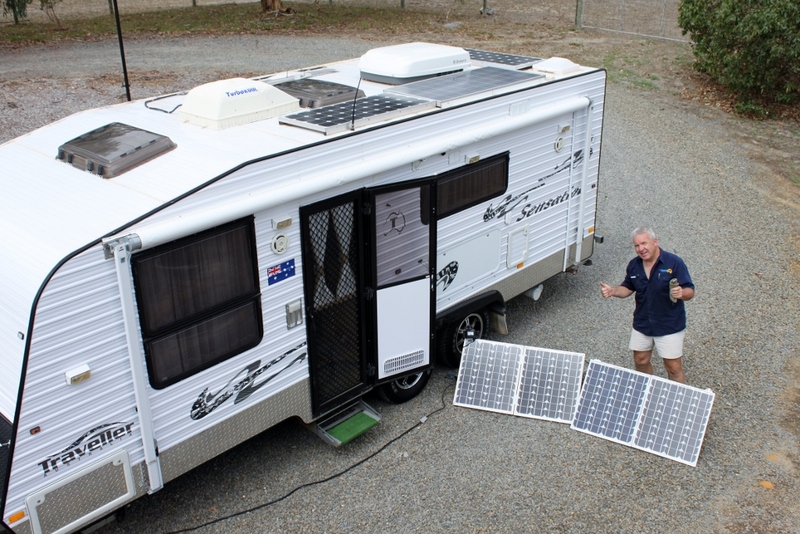 The second type is the house battery used to support accessories and lifestyle features of an RV such as fridges, pumps, lighting and inverters. You could say it’s running all the household items. Let’s take a closer look at the types that are available. The majority of batteries on the market are lead/acid. Technology is advancing and the use of nickel-cadmium and lithium is starting to become an affordable solution. However lead/acid batteries still retain the lion’s share of the market. These sorts of batteries are manufactured into two types: the cranking style and the deep cycle type. Common types on the market are traditional flooded batteries, calcium maintenance-free, AGM or absorbed glass mat, and gel. You will make a decision about which type is best to be used as a starter or a house battery by considering the application. You need to know how it will be used, the frequency of cycles, and its load carrying requirements. When we say “maintenance free” and “battery” in the one sentence, what do we actually mean? Is it because we don’t have to open up caps and pour distilled water into the battery? Or perhaps once the battery is charged, we can “set and forget”? While all of the above is true, don’t expect to get a long life out of your house batteries if you take this approach. There is a difference between maintaining your cranking battery and your house battery. Your in-vehicle car battery is designed to deliver a high current over short bursts and will recharge rapidly via your vehicle’s electrics—i.e. alternator. If you then rely on the same charging circuit to recharge your house batteries, they will receive some current, but will never reach a state of full charge. So for house batteries, we need to consider other charging methods. There are multiple ways to keep your batteries charged. Not all deliver a perfect full charge, but all will apply a current which is termed as amperage (or amps for short) into the battery. In-vehicle charging via an Anderson-type connector from your vehicle charging circuit. 240v mains battery chargers – there are multiple brands and types in the market, but all work differently. It’s important you purchase the right type for your needs. Solar panels coupled with a regulator – there are many different types and all work differently. DC to DC chargers – Use the voltage from one battery to charge the other battery. They do not create amperage, they simply pass it through. Generators – some have a 12v output that allows you to connect directly to your batteries. To fully charge batteries, we apply three basic stages of charge which achieve very specific voltage points. Understanding these stages and applying them correctly will significantly increase the life of your battery. Many modern charges have sophisticated electronics and offer a variety of other stages. But fundamentally it comes down to these three: bulk, absorption and float. This is the first stage, in which the maximum amount of current (amps) is applied to increase its voltage. In the second stage, the voltage is bought to the maximum for that battery type. It can range from 14.4v for wet cell flooded batteries to 14.7v for AGM types. Whilst voltage remains high, the amp rate is lowered. This has the effect of soaking all the cells in the battery and is critical to bringing it to a fully charged state. In the third stage the battery is considered to be full. The amps now applied to the battery are significantly reduced at around 1 to 2 amps while the voltage is held constant at around 13.6v. This is perfect in controlling the battery’s self-charge and keeps the battery at maximum charge ready to go. Determining when a battery is deemed to be flat isn’t easy as manufacturers quote different voltages at different temperatures. If you try to claim under warranty, you may find that manufacturers will shy away from claims if the voltage has been allowed to go too low. Many will consider a battery to be flat if it is below 12 volts whereas the general industry rule is 10.5 volts. Every time you discharge the battery below the manufacturer’s minimum recommended voltage you shorten its life span. There are many different gauges, displays and alarms available to help monitor your batteries. Simple ones show the voltage at the time you look at it whereas others have displays that show the number of hours left of use. There are even some that can provide graphs and logs indicating how the battery has been discharging. Alternatively, simply use a multi meter. As we can’t watch our battery’s voltage 24/7, a good way to prevent excessive discharge is through low voltage cutouts. These simply get wired into the house battery circuit and can be set at a pre-determined voltage. Once this voltage is reached, they disconnect the battery from the appliance. How should I store my RV batteries for long periods in between use? The best scenario is if your RV is kept outside and has solar. Overnight there will be some drain and the following day the batteries will again fully charge from the sun. If your RV is undercover, leave the batteries on the charger. This of course assumes you have a smart charger and it goes to float. Another option is to use a timer and have the van charger come on for 12 hours once a week. Lastly, a low amp trickle charger will also work. Is there a risk that I can “overcook” the batteries by leaving them on charge? A good quality charger that is designed specifically to maintain batteries will charge only when required and hold the voltage high and the amps low. It’s important to have the right charger for the system as it’s all about matching the charging circuit to the battery bank. Is it better to store batteries on the inside or outside of my RV? Depending on the battery type, it’s a matter of preference. Regardless of where they are, you should aim for a well-ventilated cool area. Firmly secure with some rubber matting to help shield vibrations. It’s also important to keep them clean so terminals won’t corrode leading to poor electrical connections. How should I join two or more batteries? When joining two or more house batteries together in your RV, you are effectively making one battery. In this scenario, buy identical batteries and check the date stamps and batch numbers to ensure they were manufactured as closely together as possible. 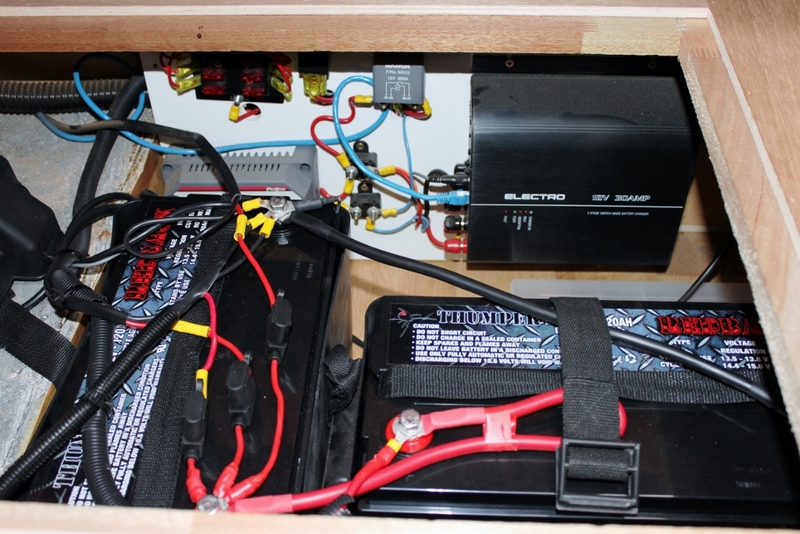 Seek professional advice so that your battery set up will match your RV style. A well-designed system is money well invested and you will save in the long run. You would be surprised how much battery drain occurs when you think everything is off. Fit a low voltage cut-out device but shop around as they all differ in how they work. 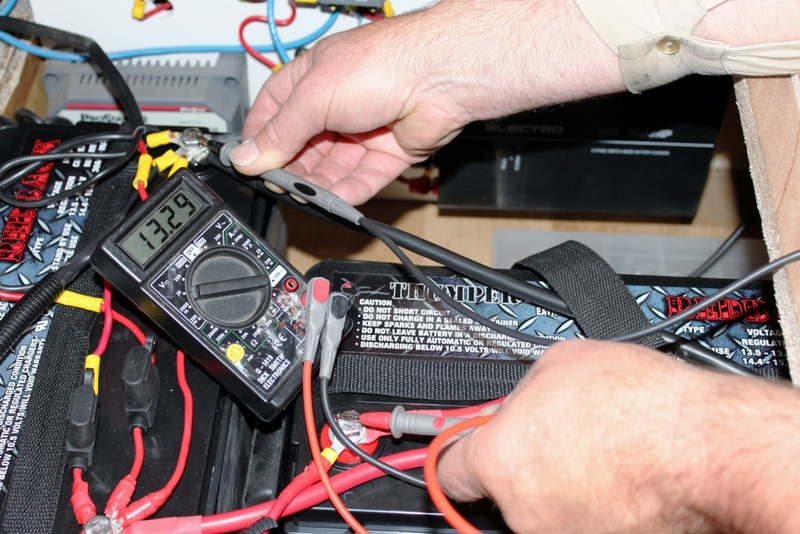 Purchase a good monitor gauge to show the state of charge in your batteries. Knowing this information allows you to take quick action. Buy a smart charger from a well-established manufacturer that can explain exactly how the charger works and who backs their products with good warranty. You don’t want to be left high and dry should something go wrong. “Cycling” means using the batteries for what they are designed for. Allow them to run down and then recharge so the battery chemistry is constantly “excited” and not left sitting around. Consider a cycle plan when your van is in storage. An electrical system in your RV that delivers the power you need when you want it starts with the right design. A lack of knowledge may see you purchasing any old battery that might work in the short term, but you could find yourself spending a lot more money in the long run. Knowing how your system works can be the difference between trouble-free electrics or a new battery every year.